Conan the Destroyer is a 1984 American sword and sorcery/adventure film directed by Richard Fleischer, and starring Arnold Schwarzenegger as Conan. The cast also includes Mako Iwamatsu, Grace Jones, Wilt Chamberlain, Tracey Walter and Olivia d’Abo. It is the sequel to Conan the Barbarian 1982. When John Milius, director of Conan the Barbarian, proved to be unavailable for the sequel, Dino De Laurentis suggested Richard Fleischer to his daughter Raffaella De Laurentiis, who was producing Conan the Destroyer. Fleischer had already made Barabbas (1961) and Mandingo (1975) for Dino De Laurentiis. Arnold Schwarzenegger, with the help of Will Hatty, put on an extra 5 kilograms (10 pounds), at director Richard Fleischer’s request, to play Conan in this film. Singer Grace Jones gave a noteworthy performance as the female warrior Zula. This would be the first major role for seven-foot, one-inch-tall basketball player Wilt Chamberlain. The musical score of the film was composed, conducted and produced by Basil Poledouris, and Jack Cardiff was the director of photography. 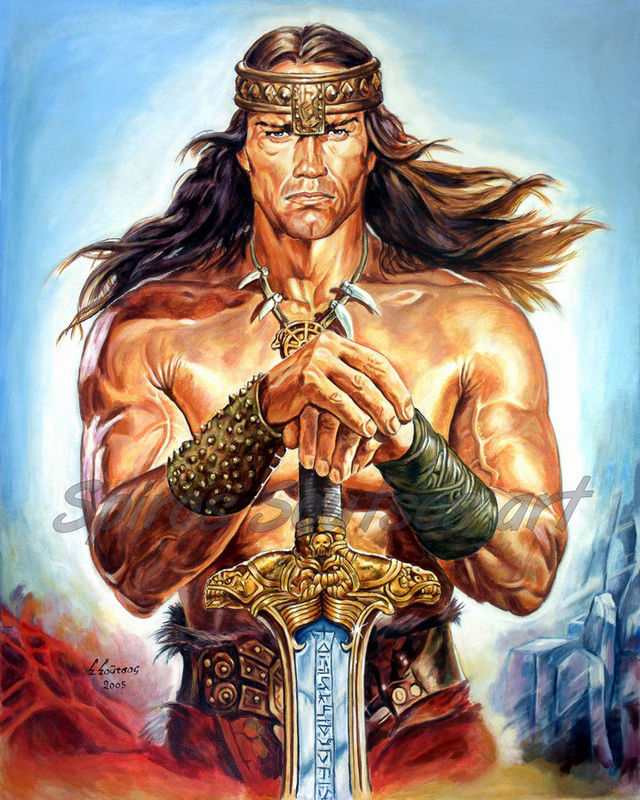 Previous film Conan the Barbarian, made approximately $40 million at the U.S. box office when it was released in 1982 with an R-rating, and an additional $50 million in international markets. Universal Pictures and producer Dino De Laurentiis thought it would have been even more successful if it had been less violent. So they decided to tone down the violence in the sequel. Conan the Destroyer originally received an R-rating like its predecessor, but the film was recut in order to secure a PG-rating. Fleischer made a movie that was less violent (and somewhat more humorous) than the first. The film was successful at the box office, grossing a respectable $31,042,035 in the U.S. and an additional $69 million in international markets, with the film grossing a combined total of $100,042,035. However critical response was not as strong as for the original film.